Does an Administrator of a Will Have to Live in the Same State? Administering a will can be challenging and time consuming. The person administering the will -- typically called an executor or personal representative -- must deal with legal documents, take an inventory of property, contact beneficiaries and creditors, and distribute property as spelled out in the will. An executor faces additional hurdles if she lives in a different state than where the will is being probated. Still, an out-of-state executor can overcome these hurdles to administer a will successfully. Most states’ probate laws make it fairly easy for residents of that state to become executors. The minimum qualifications may require little more than the person being an adult who isn’t a convicted felon. A person writing a will typically names a trusted relative or friend, or a professional like a lawyer. Probate courts usually appoint the person named in the will as executor. Although all states allow out-of-state executors in some fashion, many states give greater scrutiny to would-be executors who don’t live in-state. An executor from another state is a greater risk to the estate: If he acts inappropriately -- like misappropriating money from the estate -- the state probate court would have a more difficult time dealing with him in another jurisdiction. Also, a long distance can present challenges for an executor trying to perform duties like taking care of a house or assessing the value of property. However, the primary purpose of probate is to carry out the decedent’s wishes, so when a will names an out-of-state resident, courts are often willing to appoint that person as executor. Some states require a resident from another state to provide a financial guarantee that he will obey the law while handling the estate’s assets. The would-be executor would provide this assurance by buying a bond, which is similar to an insurance policy. If the estate loses money because of the executor’s misdeeds – like theft, fraud or negligence – the bond company will pay the estate for the loss. In-state executors may have ways to avoid a bond – for example, if the will says he does not have to post a bond – that do not apply to out-of-state executors. Some would-be executors are unable to post a bond, which may require a good credit rating and cost hundreds of dollars. Individual states use other strategies to get some assurance that an out-of-state executor will perform her duties properly. Some states will appoint someone from another state only if that person is a beneficiary of the will or a close relative of the decedent. Other states require an out-of-state executor to have a state resident provide assistance as the executor’s representative or co-executor. As a practical matter, executors often hire an attorney or other professional in the decedent’s state, which can help the executor administer the will from a distance. Can Executors Live out of State? 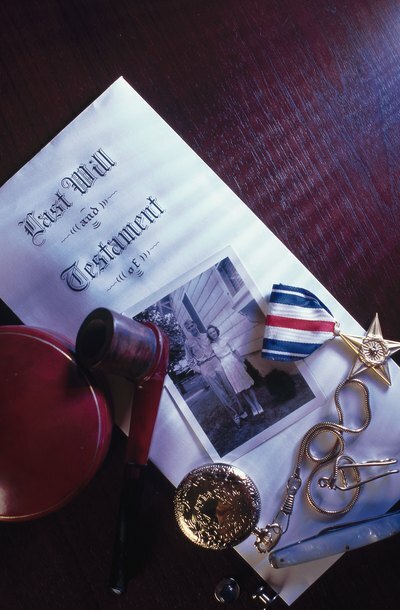 Law Offices of Barton P. Levine: Can The Executor of My Will Live Out of State? In addition to taking on a detailed, complicated job, the executor of a probate estate sometimes runs into the added difficulty of having to secure a surety bond before she can even get started. When you nominate someone as executor in your will, you might want to think about what you're asking of her if you don't waive this requirement in the document. In most cases, the issuer of the bond will scrutinize her personal life. Depending on where you live, she might have to pay for the bond herself unless you make other arrangements. Executors are individuals who are appointed through a will to ensure the wishes of the testator, person who created the will, are carried out. In some states, executors are called personal representatives. Since the testator is deceased, the executor owes certain duties to those who stand to benefit from the deceased's will, known as beneficiaries. While the primary duty of the executor is to follow the instructions of the testator and administer the will as written, the executor has other legal duties, called fiduciary duties, he owes the beneficiaries. What Happens if an Executor Refuses to Probate? An executor has a duty to act in the best interest of the estate, and refusing to probate an estate may be cause for the executor to be removed. State probate laws differ, but the Uniform Probate Code, approved by the National Conference of Commissioners On Uniform State Laws, provides a general framework for handling an executor refusing to move the probate process along. In addition to removal, an executor may be held personally liable for breaching his fiduciary duty to the probate estate.